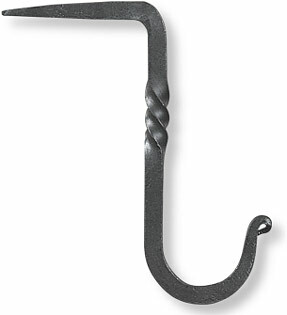 Keep it together with these forged iron hooks and hasps! 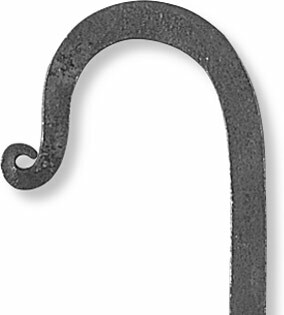 Often called the smallest of the gate hooks, this size is more appropriate for a bed or bath door. 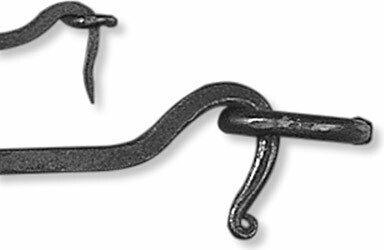 2.5" long hook and eye. 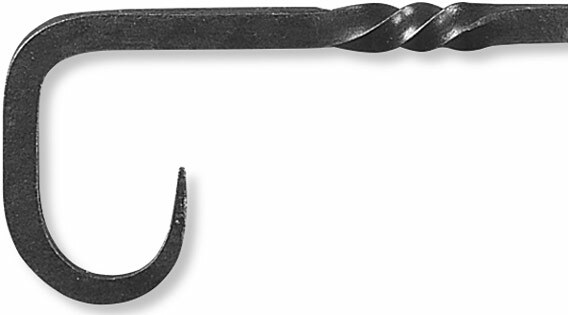 Screw in ceiling hooks. Works well with lighting. 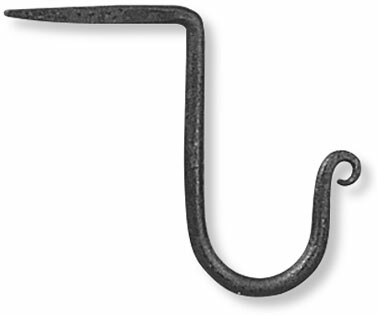 These forged iron hooks and hasps are a great way to secure sheds, gates and doors. 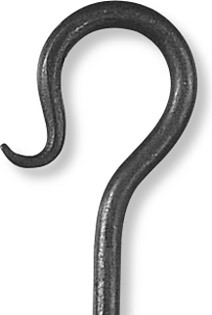 The hook of great beams everywhere! The name says it all, but of course, it has unlimited uses. Crane hooks are great for tons of things. 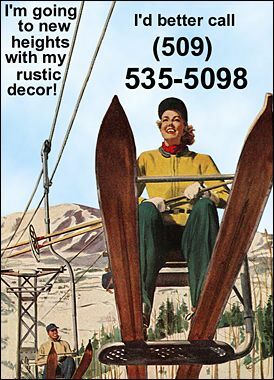 How about hanging bird feeders and wind chimes from tree limbs? These come in 4" or 6" long for the same price. 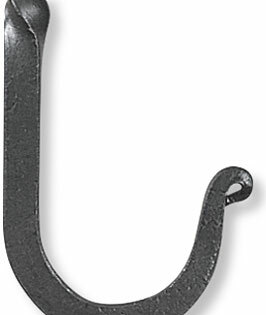 Horizontal hasp with hook, about 9-1/4" long. 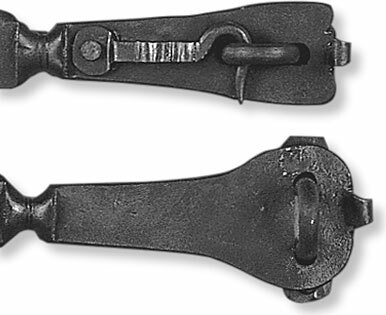 Horizontal hasp, about 9.75" long.